As some people age, they become more cynical. 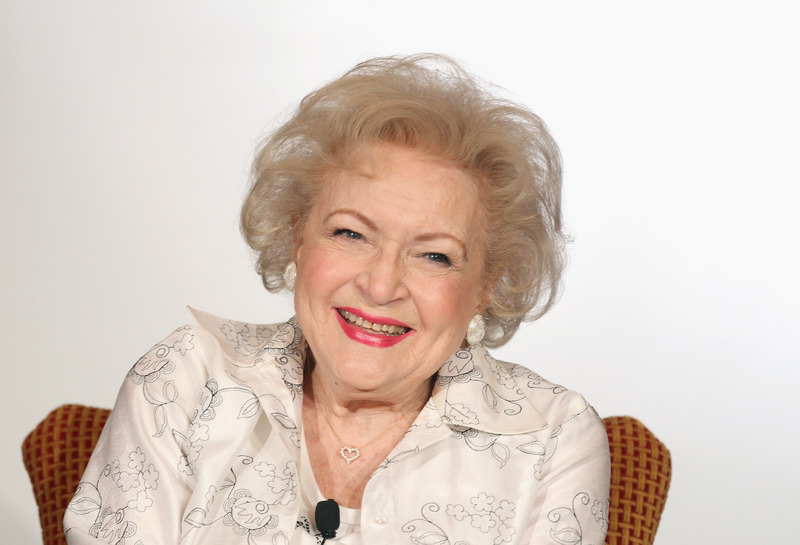 Luckily, this isn't true for Betty White. Like a bottle of wine or block of cheese, she keeps getting better with age. Case in point: The Golden Girls actress turned 93 on Saturday and received a memorable birthday surprise from the cast and crew of Hot in Cleveland. When arriving on the TV Land show's set, Betty White was surprised with a flash mob and her reaction was priceless. It pretty much proves that she's the most adorable 93-year-old on the planet. I'm not even being hyperbolic — it was that precious! If we can all act like her when we get older, the world would be a much better place. In the video, she's being driven around on a golf cart when she encounters a hula dancer. Then it turns into an entire Hawaiian theme flash mob. Personally, I think flash mobs can be a bit overdone, but in this case, I 100-percent approve — especially because it brings so much joy to Betty White. After hugging her Hot in Cleveland castmates Wendie Malick, Jane Leeves, and Valerie Bertinelli, White jokes, "At 93, you shouldn't be doing this." If you want to see the video of her birthday flash mob, check it out below. Just be sure to brace yourself for the cuteness!